Sound Therapy is based on the principal that everything has its own vibration. By using therapeutic sound, with compassionate intention from various sources, we may experience harmony in our bodies and wellness is promoted. Anyone can benefit from sound therapy sessions. It works well as a supporting modality for those who already consider themselves to be in good health. There are no guaranteed results, but it can be beneficial to those who have health challenges with any body system or function, including anxiety, insomnia, stress and pregnancy. 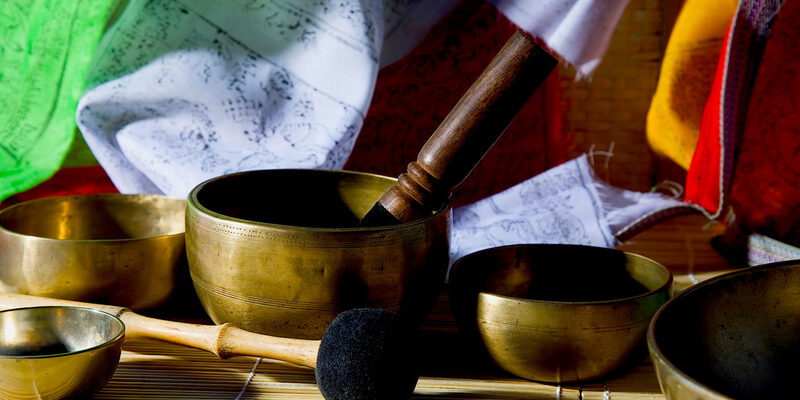 Various sound tools are used, including a full octave of quartz bowls, practitioner bowl, Tibetan bowls, rain stick, bells chimes, vocal toning, guided meditation and essential oils. Treat yourself to this amazing therapy session!